The first step in the path to achieving financial health is learning what really drives you when it comes to money and how money can help you achieve your dreams in life. Your attitude toward money determines how much money you need, how hard you’re willing to work for it, and how you’ll feel if you achieve your goals. 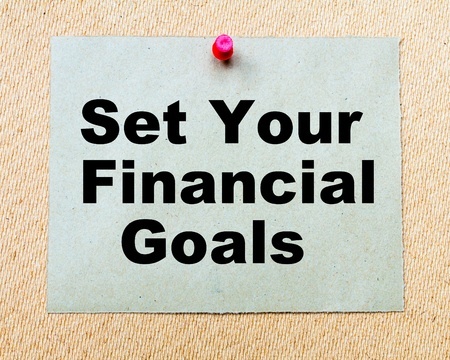 Setting concrete and measurable financial goals will help achieve your goals and hopefully, enable you to live the life you’ve always wanted. How do you stay on track and get to where you want to be financially? Learn how to create a financial road map to achieve your financial goals. Learning to create specific, actionable, and measurable financial goals will help make them a reality. This step-by-step guide will help you get started. Achieving your short-term goals is easier than you think. Learn how to prioritize your goals and create a savings strategy to reach them. Even though they’re a long way off, starting early to plan for your long-term goals will make it easier to reach them. Read about investment options to help you attain these goals. Your retirement may be 10-30 years away, but it’s never too early to start saving for it. Our five steps will help you get started. BOOK: Achieve Anything in Just One Year: Be Inspired Daily to Live Your Dreams and Accomplish Your Goals Learn to reinvent yourself, get motivated and wake up everyday happy to be alive! ARTICLE: 20SomethingFinance.com: 5 Personal Finance Goals for your Thirties.